Passover has been over for about a week now and I’ve almost recovered. The last couple of weeks before Passover were a whirlwind of shipping books out, helping customers find everything they needed for Passover, figuring out how to find products that I was shorted or that arrived and turned out to be from last year and finally, preparing food for over 150 families. We were working flat-out with little time to post updates here. 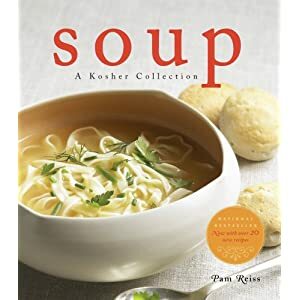 Now that I’m rested and can post again I wanted to take a moment to thank everybody who bought Passover – A Kosher Collection. It’s been wonderful to hear which recipes people are trying and I’ve had such a good response to it. It’s also been getting great reviews (I’ll post a link round-up soon) – I couldn’t have asked for a better response. Thanks to everybody who told their friends about it and posted it on Facebook, Twitter, Amazon and personal blogs.